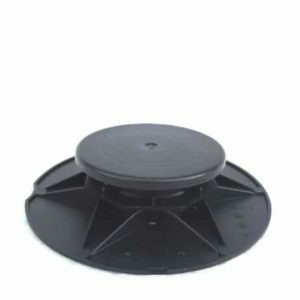 Wallbarn Rubber Paving Support Pads offer a perfect solution for deck paving. They ensure a secure, fast, clean and uniform way to lay paving slabs or decking on flat roofs, balconies and walkways. 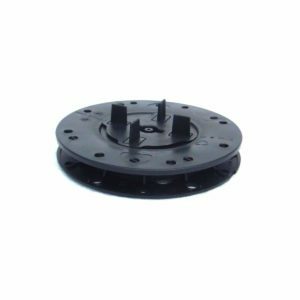 Wallbarn Rubber Paving Support Pads are specially designed circular pads manufactured from high quality synthetic rubber. They are extremely tough and have a high level of elasticity and flexibility. 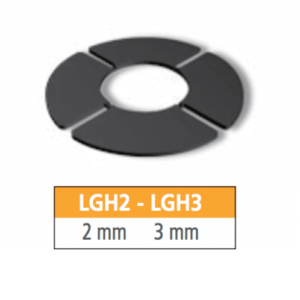 On the upper surface they have four lugs to provide regular spacing between paving slabs. The under surface incorporates grooves to allow the drainage of water below the paving into the appropriate drainage outlet. This avoids puddling on the paved surface. 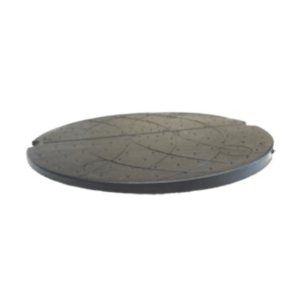 Wallbarn Rubber Paving Support Pads are designed to ensure that the paving slabs are clearly separated from each other with regular spacing between them and are held securely in place. There is no mechanical fixing required or any need to lay slabs in mortar – the surface is secured by the weight of the slab or covering. This cuts down weight on the roof but also the hassle and mess of laying slabs into sand and cement. This leads to easier, cheaper and faster installation. Another advantage of Wallbarn Rubber Paving Support Pads is the ability for the contractor to take up, reposition, or change completely the paving slabs on top. This proves to be most useful where site inspection or leak detection needs to be carried out. 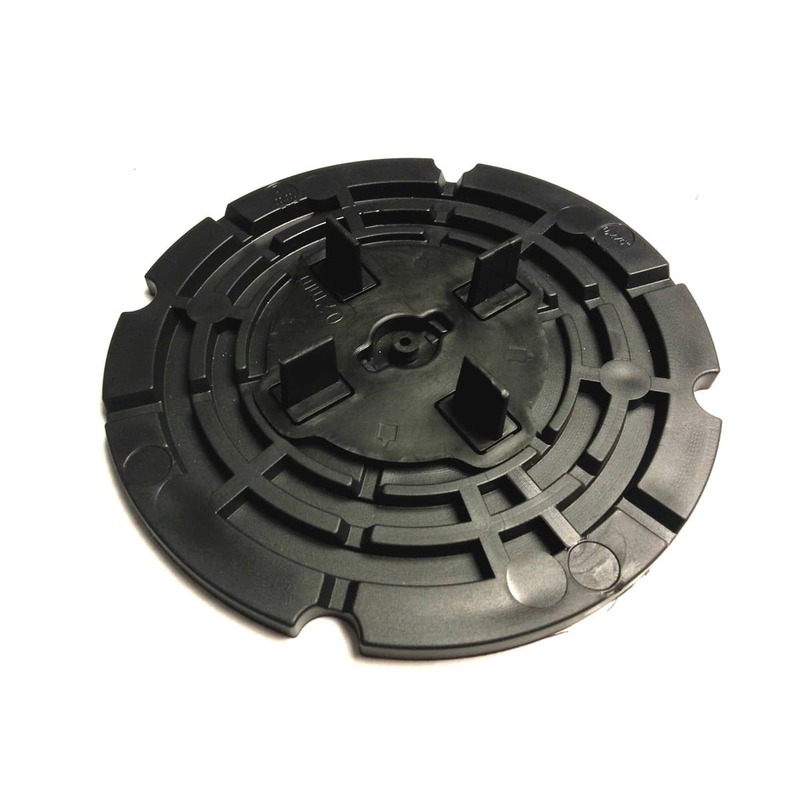 Since Wallbarn Rubber Paving Support Pads are made from synthetic rubber as opposed to plastic, they offer the distinct advantages of being flexible and are easy to cut. They are extremely tough and durable, with a weight tolerance of 8 tonnes. They also offer sound and vibration insulation, and are extremely resistant to extremes of heat and cold. They will not become brittle in cold weather. The rubber compound ensures that the pads give a certain amount of grip, and will not slip on the surface beneath when being installed. Their tough flexible makeup make them useful for a variety of different materials, not just pre-cast concrete paving. They have been used successfully to support timber decking placed on top of insulation boards without cutting into the surface and can even be laid directly on top of certain waterproof membranes without risk of damage. They are included as part of the specification in a number of high profile waterproofing systems.